Another DIY that was lost in the archives of my computer. I made this live DIY Floral Crown while I was at the Meet Make Do gathering in February. I’ve never really worked with live flowers, but I have always wanted to make a floral headpiece. I just happened to be with a group of amazing and talented ladies at this event, and they gave me some tips. 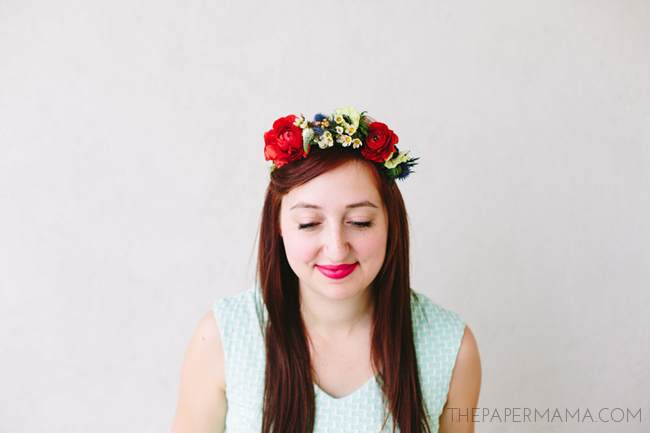 Ashley, from Sugar and Cloth, shared her past floral headpiece DIY post with me to help me make this. It was a fun experiment, and it was EXTRA fun to make this with my friends around. These live floral crowns would be perfect for a bridal party, right? All the bridesmaids could make their own over a wedding-morning breakfast. – Pick out a variety of live flowers. I ended up using about 10 floral stems for my crown. 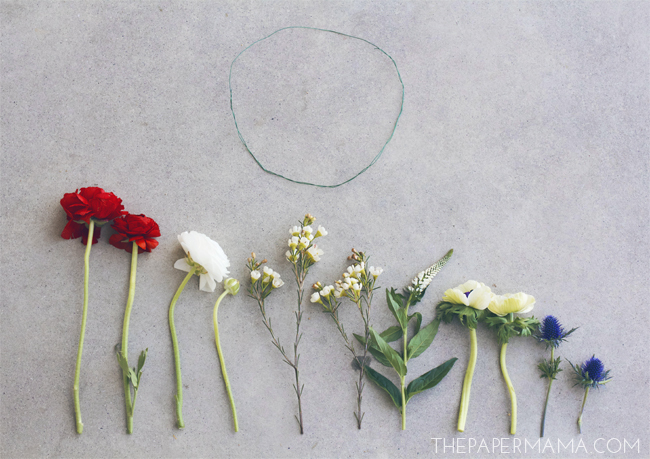 – Cut a section of the floral wire. Measure it’s length on the top of the head, where you would wear a crown. Wrap the measured wire to make a circle of wire. – Use the floral tape and wire to attach the flowers to the floral crown. – Pin the crown to your head with bobby pins. This lovely crown won’t last too long, but should be fine for a few hours. My crown lasted (without water) for over 6 hours. P.S. Photos taken by, Mary Costa Photography. Flowers from Flower Muse. This tutorial is perfection! 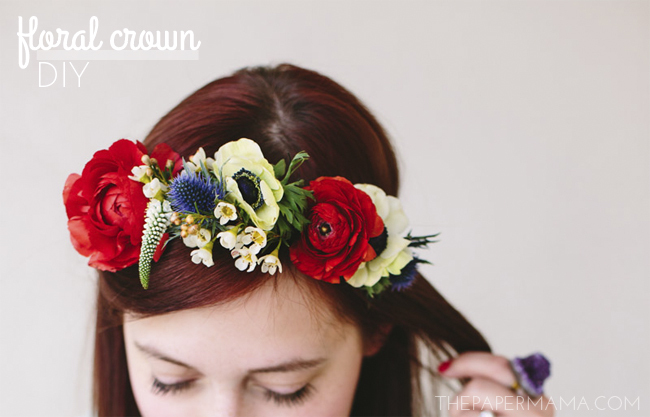 I've been dying to host a flower crown making party and this is so what I needed!